When Google+ entered the crowded social sphere in 2011 it was met with skepticism and many users questioned the need for another social network. Last year, we surveyed business buyers and sellers about which forms of social media they were using. And the results were surprising – more than 37% of those surveyed said that they were using Google Plus (Google+) – a higher figure than those using both Twitter or Facebook. Either entrepreneurs are becoming savvier with their social media usage, or, these figures represent a common misunderstanding among the small business community. Millions use the Google search engine to search for business information and more are also using Google Plus, a social media platform designed to help people promote their professional interests. C. A business owner wanting to sell their business either now or some time in the future. You could be making one of these mistakes when it comes to Google+. Mistake 1: Assuming that Google and Google+ are the same. Google is a search engine, with 88% of all UK internet searches being made using it. 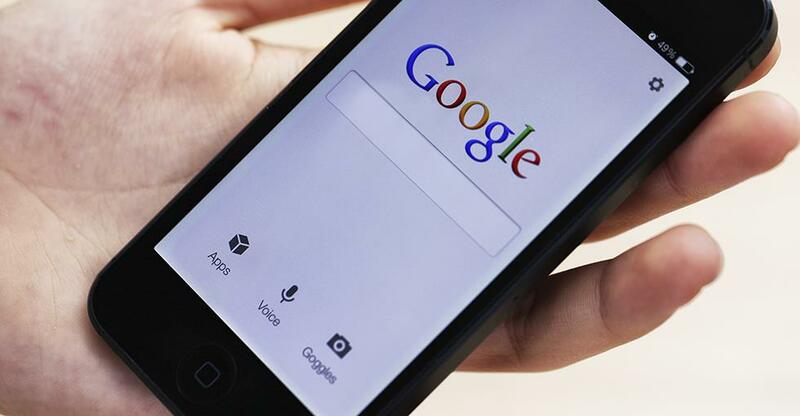 It’s a fair bet that your customers, potential buyers and peers are using Google. Google launched Google+ in 2011 which itself has 590 million users, worldwide. This is our Google+ page. It looks nothing like the Google search box but it can provide a wealth of resources to help small businesses. Mistake 2: Not having a Google+ page. Now you know what Google+ looks like, here’s why you should use it. By creating a Google+ business page you can promote your business to anyone who is searching for your products or services. A Google+ page shows your location and links to your company website, helping people find you and raising your business profile. Google+ asks you to write a short introduction about what your business does. The words that you use in this description become your keywords. People searching for keywords on Google will be referred to pages including those words on Google Plus – including your page. By inserting your location on your page your business will now appear on Google maps. Another mistake having a Google+ business page, but not using it. Do you know what a circle is? In Google+ it’s not just a round thing, but a way of connecting with and categorising users in a way that benefits your business. You will find suppliers, customers, potential buyers and even competitors on Google+ and if you add them to your circles – find out how to do it by clicking here - you can contact them with your latest offers or track what they are doing. After adding to circles you then need to say something – by updating your Google+ page. An example is writing a short update or uploading a picture that focuses on what you do, a special offer or something else relevant to customers or buyers. By also using a hashtag – a word relevant to what you do preceded by # – people interested in that hashtag will be able to find you easier. You could use something like #specialoffer or something business related like #pharmacy or season-related #ChristmasGift. You should also click on the What’s Hot page to find out what people are talking about online. Even if you provide products or services that never go out of fashion, the What’s Hot section of Google+ shows what topics people are discussing. And if something is popular and works with your business, use that hashtag too – like around 31st October you could use #Halloween with any Halloween-themed products you are selling. Advanced Google+ users and small business experts should also consider using Google Authorship. If you’re an expert in your business field you can link your personal Google+ page to your business page, showing what has been written about your industry. Showing yourself as an expert on your products and services helps build customer trust and puts you higher in those search results on Google. Or to be really smart – if you have a blog, press releases or anything you want to share on your company website you should add the Direct Connect code to your site. This means that if someone puts a + before your company name in the search box then they should get directed to your page. One of the fundamental differences between Google and Google+ page is that only Google+ can be used to interact with others. You may have noticed the word Hangout, this means using your Google+ account to have an online meeting. A Hangout is used for one-on-one or group video discussions (you’ll need a camera on your computer), they’re not recorded and are only available to those invited. Even if you’re not ready to hold your own hangout, or you don’t have a camera then you should look at the Hangouts on air section. These are public discussions that go live in front of a worldwide audience. You can search for Hangouts on subjects that interest you and watch them or you can even participate, talking to the hosts about what you do and how you can help customers. Putting yourself out there will make a business more attractive to buyers as well as customers. A great explanatory video on Hangouts on Air can be found here. You can test whether your customers are using Google+ by simply adding the Google+ badge to your website. Adding the Google+ badge allows anyone on Google+ who is searching for your products to get better access to you. A ‘Follow us’ icon will show up next to your business listing in search results. We think you’ll see more people visiting your site. And don’t be so quick to discount the lack of tech knowledge in your older clients – the 45-54 year old demographic has grown by 56% on Google+ last year, with the 55-65 age group following rapidly behind. You also don't need to just think about the user base that's active on Google+. your Google+ activity will help your SEO rankings on Google, presenting fresh information to your potential customers, and making you easier to find. Australian businesses using Google+ will also benefit from the low uptake, with just 9% of Google+ profiles posting regular content. With these clear benefits, that require very few changes to be made in your regular content plan, can you afford to keep making these same mistakes?